Webcam Nonnenhorn: Jetty - View of the Jetty of Nonnenhorn. Langenargen (Lake Constance): View of Lake Constance, 3.6 mi. Lindau (Lake Constance): Panorama Lindau and Lake Constance, 4 mi. Lindau (Lake Constance): View of Lake Constance, 4.1 mi. 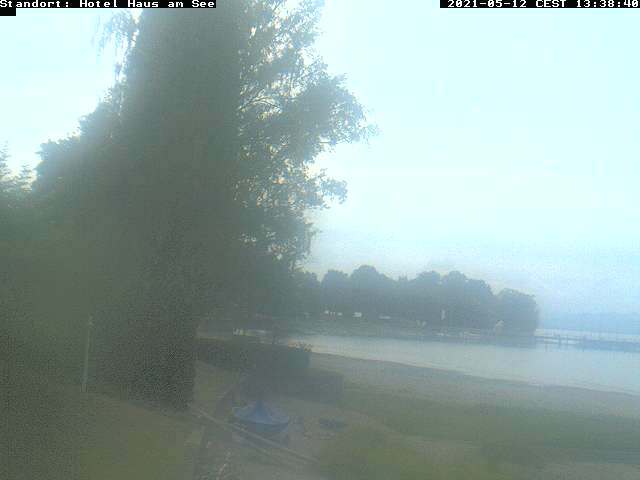 Lindau (Lake Constance): Camping Gitzenweiler Hof, 4.5 mi. Thal: roundshot 120° Panorama Rheinspitz, 5.7 mi. Hörbranz: A14, at AST Hörbranz, 6.7 mi. Hörbranz: A14, at Pfändertunnel Nordportal, 7.1 mi. Hörbranz: A14, at Pfändertunnel Nordportal - Auffahrt Fahrtrichtung Süden, 7.1 mi. This webcam Nonnenhorn with the theme Harbors was added on May 28, 2010 and is operated by www.webcam-nonnenhorn.de. It got 12401 visitors since then. Shouldn't this webcam work or should the link be wrong please report that here. You can add this webcam here to myCams.